Prepared in 20 minutes or less plus marinate overnight. Salt and fresh pepper to tasteCombine marinade ingredients together and mix very well in a large bowl. In an extra large Ziploc baggy, place chicken wings and add marinade over top. 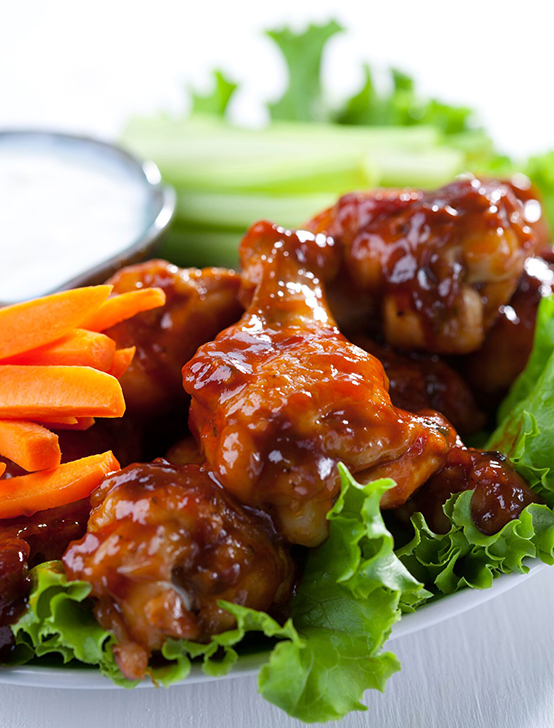 Be sure to coat all chicken wings and marinate in refrigerator for 4 hours or overnight before grilling. In a small bowl, mix blue cheese with other dipping sauce ingredients and keep refrigerated until wings are grilled and ready to serve. Serves 4.